Two more scoping missions announced to improve access to capital in Tonga and employment opportunities for women in rural Fiji. Mobilising capital and applying a gender lens to small business loans in Tonga, and investing in sea grape-based skincare to provide additional opportunities for rural-based women in Fiji, are two activities that are currently underway across the Pacific as part of Pacific RISE. These additional scoping visits bring the total number of scoping missions awarded to 20 (with 40 applications received) over the past 18 months. 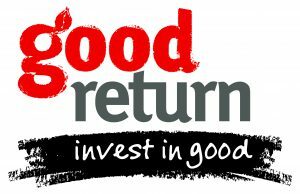 Good Return, a not-for-profit organisation is using funding provided by Pacific RISE to scale their social investment model. The model – which they piloted in the Solomon Islands using funding from a previous scoping round – links social entrepreneurs working in low-income communities with access to finance, technical support, appropriate financial products and business training and tools. Through scoping visits, Good Return plan to meet with several enterprise owners to develop a pipeline of impact investments. Whilst there they will identify technical assistance providers who they will commission to apply a gender lens across the horticultural and handicraft value chains in the outer islands of Tonga. Good Return will also utilise the time in-country to identify a financial institution which they will work with to apply a gender lens across their small business loan products to analyse gender dynamics between financial institutions and women enterprise owners in Tonga. TDi has identified a Fijian female-owned and managed skincare business that has the opportunity to become investible. Essence of Fiji was established by Debra Sadaranu to give women and girls access to opportunities that they might not otherwise have. Founded in 1998, Essence of Fiji provides employment pathways for hundreds of women living in urban and remote parts of the county. After working hard to establish a stable and profitable business, Ms Sadaranu has been approached by a global distributor to sell its premier skincare range, which is produced using sea grapes harvested by women in the remote islands of Fiji. 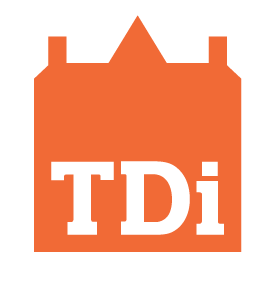 TDi is receiving funding from Pacific RISE to conduct a deep-dive visit to assess the business potential for impact investment. As part of the trip, they will explore the business’ assumptions, gaps and have a plan for addressing them. Essence of Fiji will gain a better understanding of investor requirements and what it takes to become investor ready.